Part 1 covered the interplay between the two parts of the human brain - The Habitual Mind and the Executive mind - and outlined how they impact consumer behaviour. In Part 2, we'll take a look at how these minds operate within the context of shopping behaviour. To read Part 3, click here. 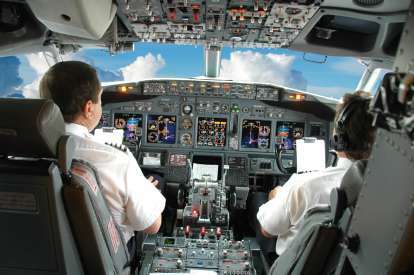 (1) Autopilot: In this mode, the Habitual Mind is flying the plane. Decision-making is done unconsciously, in response to emotions and familiar cues and stimulus. Often, the decisions that are being made have been made many times before. Used when complex decisions must be made very quickly in a short amount of time - like when grocery shopping. (2) Co-Pilot: This mode is also called Assisted Consciousness or Heuristic - the Habitual Mind flies the plane with the assistance of the Executive Mind. Decision-making is done quickly according to habit, but has the tendency to change and switch based on the influence of cues and markers that capture the attention of the more rational, Executive Mind. These cues, like sales, "NEW", and special end-aisle displays, snaps one out of an otherwise familiar behaviour. (3) Pilot: In this mode, the Executive Mind is in full control of the plane. Decision-making is a slow, rational process that develops as the mind educates itself on all of the information and points of evaluation it needs in order to make the best decision. In this mode, the shopper is focused on the task at hand and constantly taking in any information that will aid in its quest. The Shopping Mode that a shopper is in typically depends on (1) their level of familiarity with a product category or store and (2) their level of engagement with a product category or store. First, familiarity. Dr. Martin uses the example of driving a car through a familiar neighbourhood. Even though you are operating a very complex piece of machinery (your vehicle!) through a very complex system (roads - watch out for children! ), most of the time our minds are focused on something completely different than our current environment. What's for dinner? Is there something I forgot to pick up? Any good movies out this weekend? Our familiarity with the route and the environments lulls us into Autopilot Mode. We look for cues to help us navigate - traffic signals, kids running across the road, but otherwise, our minds are elsewhere. Contrast that with the task of driving through an unfamiliar part of town at night - our minds are on high-alert, in full Pilot Mode, looking for both our bearings and for potential obstacles. Our level of engagement also affects our Shopping Mode. Sticking with the driving example, the experience of driving a car is probably much more engaging to a select group of drivers - those who are relatively new to driving, those who are driving a vehicle for leisure, and those who have a special interest in driving itself. To everyone else, driving isn't an end in itself, but a means to an end - getting somewhere - and so the driving experience isn't very engaging. These people are driving in Autopilot Mode. 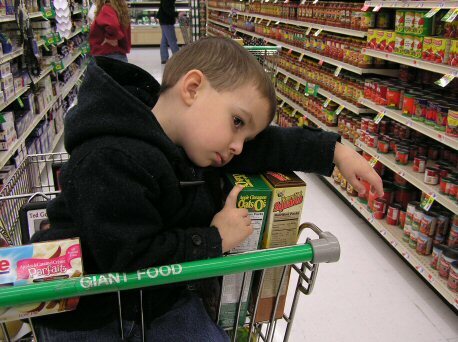 Most of our shopping is done in familiar environments, in categories and stores that we are not that engaged with. As a result, most of our shopping is done in Autopilot Mode - we hand off as many decisions to the Habitual Mind as possible. This level of automation, of course, leads to extreme selective perception: we filter out most of what we encounter while shopping through a store. In most stores, operating in Autopilot is the only way to survive. Think about it: the retail reality is that stores are filled to the brim with thousands of SKUs, ready to overwhelm our senses if we ever fully paid attention. Imagine shopping for your entire grocery list in Pilot Mode. It's impossible; it would make you sick. As a result, shoppers on Autopilot are constantly disregarding information that is irrelevant (background noise) and operate according to habitual behaviour and cues. Most of the time, shoppers are thinking about something completely different than what they're doing - they're acting first and thinking later. In many cases, both marketers and retailers help them reinforce their habitual shopping behaviour. Colours are one of the ultimate habitual cues. Think about the block cheese section (red equals Old Cheddar, green equals Medium) or what many brands have done in staples like Milk (blue equals 2%, etc). The only time we're really snapped out of Autopilot mode? When the shopping environment changes, when the store layout shifts or merchandise is organized or displayed in an unfamiliar way, shoppers can be forced out of the realm of familiarity and habit - for better or for worse. The results of the development of Shopping Habits? 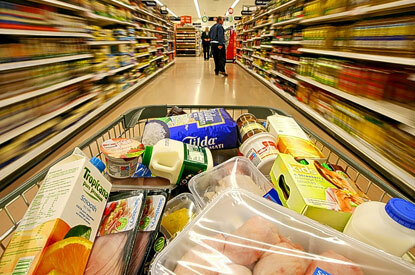 The same products, the same brands, and the same number of items end up in the shopping basket, every time. If you're already in the basket, this can be a great thing... but if you're not, well then, your shopper's got a habit that you have to break. Enjoyed this post? Check out Part 1 and Part 3 in the "The Habitual Shopper" Series.